Google’s head-mounted computer Glass has yet to hit stores, though the Palo Alto company is already facing backlash from privacy advocates due to the device’s camera. 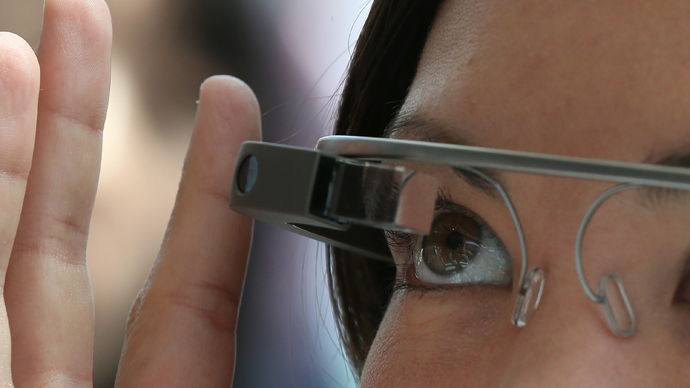 One firm has even adapted Glass to perform facial recognition despite their protests. Lambda Labs founder Stephen Balaban is only one of the many individuals who are coming up with new functions for Glass, some which its Google designers may not have intended. More than embedding a few new functions into the device, Balaban aims to create an entirely new software for it. "Essentially what I am building is an alternative operating system that runs on Glass but is not controlled by Google," he tells NPR. By supplanting Glass' original operating system, Balaban has already managed to create a feature that can perform facial recognition using the forward-mounted camera. According to Balaban, Google did not react well when he announced his intention to modify their device to recognize human facial features. In response, the company changed the terms of service to ban the practice, though developers at Lambda Labs seemed undeterred. "Don't worry, we think it's a core feature. Google will allow it or be replaced with something that does," tweeted Lambda on June 1. Though Glass may be Google’s hardware, it is not entirely clear whether they can actually block the device from performing tasks prohibited by their policies. The company also intentionally gave the first batch of the devices to those it deemed “Glass Explorers” - developers with high technical skills and other individuals who proposed inventive uses for the device. "We're looking for bold, creative individuals who want to join us and be a part of shaping the future of Glass," the company said in February. Developers with access to the first round of Glass headsets are able to load apps, which Google refers to as “Glassware,” without having to secure the company’s permission. The device can then communicate with services such as Lambda Labs’ paid facial recognition feature. As The Guardian reports, Google has the option to remotely 'kill' undesirable software for Glass, or force software updates that can block certain devices, much as Apple often updates the operating systems for the iPhone to block 'jailbroken' devices running applications outside of its App Store ecosystem. Already Google has faced pushback on services that some think go too far in invading personal privacy. Google Map’s Streetview feature, for example, has been subjected to scrutiny in countries such as Germany, where residents were able to request that images of their homes be blurred. Partly in response to privacy concerns, Google has avoided features such as facial recognition with its Android mobile phone operating system, though the camera-centric aspects of Glass may make the feature unavoidable. Even if Google has publicly stated its opposition to facial recognition technology, the controversy is unlikely to end that easily. The device has even attracted the attention of lawmakers in Congress, a group of which sent Google chief executive Larry Page a letter demanding to know how the company could prevent the “unintentional” harvesting of data and protect the privacy of those in the line of sight of the headsets. Google designers have included small cues, such as the necessary verbal commands and a small tap to take an image to try and make the device’s functions transparent, though as hackers such as Lambda Labs are already proving, that may be an uphill battle. Aside from the facial recognition service, the company recently launched what it calls a “Lifestream” backup tool that can stream a flurry of all images taken by a user wearing the device. Couple such a feature with facial recognition services, and the device’s capabilities begin to take shape.